Unlike the Book of Mormon, the book of Ether is rather stingy with geographical clues. A few are given which relate to specific places, however most are only vague references to places with no links to any specific locations. We are given few details but are given a general idea of their relationship to each other. Here I will attempt to list all the verses in the book of Ether that refer to geography, either directly, or indirectly. These will then be related to my model of Book of Mormon geography found at http://www.mormongeography.com/ . At Cumorah and Ramah which are the same hill or mountain. At Moron which is near the Nephite land Desolation (probably to the north). At the hill Shim. Unfortunately we don't have a precise location for this landmark. The narrow neck of land. The Jaredites were mainly north of the narrow neck, while most of the Nephite history was to the south of this landmark. King Lib built a Jaredite city near the narrow neck. During Jaredite times the narrow neck was blocked by an infestation of poisonous snakes. I believe that the original Jaredite landing, and the Jaredite capitol of Moron, was on the Gulf of Fonseca, in Central America. 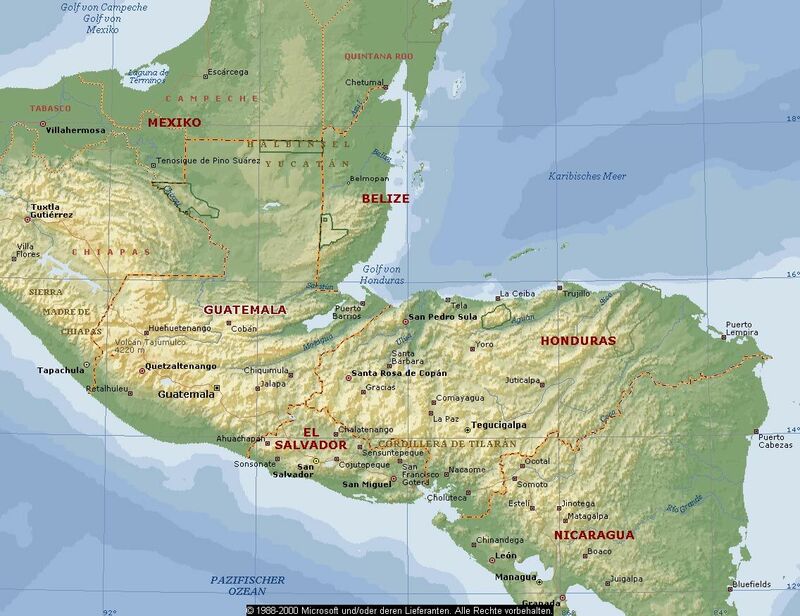 The land of Desolation would have been in northwestern Nicaragua between the city of Rivas, and the Gulf of Fonseca. And finally, I have suggested that the Hill Ramah (or Cumorah) was at Cerro San Gil near Puerto Barrios, Guatemala. All the following locations in the New World will be linked to these key landmarks. The initial references in the beginning chapters of Ether refer to locations in the mideast or Asia. The geography can be divided into two sections: the journey from Babel to the New World, and the Jaredite occupation of the New World. 1:33 Moroni mentions the Jaredite's origin at the Great Tower, or the Tower of Babel. This was probably located in the lower Tigrus/Euphrates River valley. Suitable sites could have been Ur or Eridu at the mouth of the river, or upstream near the city of Hit, which was a major source of the “slime” (tar or bitumen) which was the mortar of the tower (Gen. 11:30). 1:42 The Lord promises them a land choice above all the rest. In Jacob chapter 5 the Lord speaks of this choice land but also contrasts it with several places described as “the poorest parts of the vineyard”. Does a choice land denote something physical or spiritual, or both. Does it refer to climate and geography, or possibly its position on the earth's surface. This is something that I haven't resolved yet. I don't believe it depends on the inhabitants, or this promised land would have been defiled and ruined ages ago. 1:43 The Lord promises the Jaredites that He would make them into the greatest nation in the world. There should be surviving evidence of this greatness. 2:1 The Lord commands them to travel to the valley of Nimrod. This was north and down in elevation. I have addressed the location of this place in another blog. 2:5 The Lord directs them to travel into that quarter of the wilderness where never man has been. I assume that this refers to human habitation in the time period following the flood. This would have been central and eastern Asia. 2:6 They traveled in the wilderness and were directed continually (or repeatedly) by the Lord. To me this denotes a complicated journey requiring many decisions and repeated revelation. They crossed large bodies of water. These could have been singular or plural. Hugh Nibley points out that there were probably large remnant lakes in central Asia that existed for generations following the flood They built barges (plural) to cross these bodies of water. The Lord later comments that these were similar to what they would use to cross the ocean. 2:7 They reach a place which is beyond the sea in the wilderness. Here the Lord seems to indicate that there was only one large sea that they had to cross in Asia. He did not want them to stop when they reached the other side, but should continue on until they reached the final destination. 2:13 The Lord finally led them to the great sea which divided the lands. They called this place Moriancumer. I believe this was the east coast of modern China. The great sea was the Pacific Ocean. Designating the place Moriancumer would tend to vindicate Joseph Smith who said that the brother of Jared was named Mahonri Moriancumer. 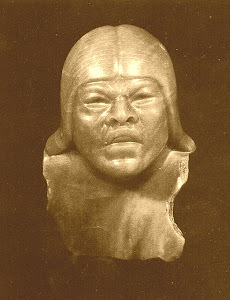 It also inidcates that Moriancumer was likely the real leader as the ancients tended to name places after their leaders or discoverers. 3:1 The text mentions Mount Shelem, a high mountain on the seashore. I believe that this is Mount Loashan on the east coast of China. Even today this is a holy mountain and is claimed to be the place where Taoism originated. 3:3 Moriancumer acknowledges that they have been traveling for many years as they crossed the wilderness. It was a long and difficult journey. How long? 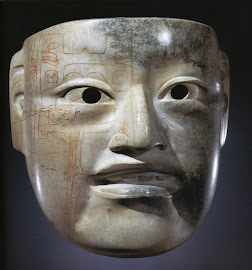 We don't know, but the legends of the Mesoamerican Indians indicate that they traveled for 104 years. This may be mythical or actual history, but we do know that they traveled a long time. It was not a short, quick trip as the abriviated account seems to suggest. 6:5, 8 The Lord caused a furious wind to blow toward the promised land. It continued until they reached the opposite shore. This may have been an abnormal wind, created for the occasion, however natural currents do follow the jetstreams which are caused by the rotation of the earth. These always blow from west to east. There are also natural currents in the northern Pacific which flow from Japan to the coasts of North and Central America. These winds would have amplified the natural currents. 6:11 They were at sea for 344 days, floating without sails or other means of propulsion. This can give us an estimate of the distance that they traveled. Others have estimated that the length of the journey from the coast of China to the New World would have been about 7250 miles and they could have covered this distance in 350 days at 21 miles per day. 6:12 They landed on the shore of the promised land. This could have been anywhere from California south to Central America. For my model to work, they need to have landed at the Gulf of Fonseca. This ideal bay is located on the Pacific where El Salvador, Honduras and Nicargua come together. 6:18 The people spread over land. I believe this indicates that the various families separated and spread out over the country. One of the earlier problems in Sumer had been that the people congregated in and around the cities and didn't spread out and cover the face of the earth as the Lord had commanded. I believe that at this point they would have heeded His counsel and done so. 1:1 Moroni notes that the last Jaredite wars and destruction took place in the north country. This reference is out of place, but fits in here. It indicates where the Jaredite population was located. It was in the north countries, north of the narrow neck of land. 7:4 Corihor rebels and leaves the land of Moron and goes and settles in the land of Nehor. No specific location is given for this land, but it was probably within a hundred miles of Moron. 7:5 The land of Moron is designated as the capitol where the king dwelt. This city was normally the center of the land except when there were uprisings or when the kingdom was split because of civil war. I place it inland from the Gulf of Fonseca, probably in one of the major valleys and near a major river. 7:6 Moroni tells us that the land of Moron was near the land of Desolation. According to my model, the land of Desolation was in northwestern Nicaragua, north of the narrow neck of land. The area surrounding the Gulf of Fonseca is just north of this land. I have not researched this topic. It should be somewhere in the larger area surrounding the Gulf of Fonseca which is geologically suitible for iron minerals. 7:11 The Jaredite kingdom spread over all the face of the land. I do not believe that this refers to the populating of the continent, but only to the populating of a local area which could be properly governed by a small kingship. 7:16 Noah rebels and conquers the land of “their first inheritance.” Shule the king is driven out and reigns from a different location. Verse 17 equates this land with the land of Moron which was apparently the first colony of Jared's group and the capitol of the Jaredite kingdom. Shule and his followers move outside the Jaredite kingdom. 7:20 Because of this civil war, the country was divided into two separate kingdoms. These would have been relatively small, local entities having a regional sphere of influence. A few years later the kingdoms are reunited, and it is assumed that the capitol returned to Moron. 8:2 Jared rebelled against his father and went to live in the land of Heth. From there he started a civil war and won half the kingdom. This is one of the many instances in which rebels, discontents and wanderers leave the main group and move out to the frontiers of the kingdom. Some of the dissenters returned in peace, or to engage in civil war. But it is likely that many others never returned, but established far flung colonies in an ever expanding circle outward from the original colony. Heth was far enough away from the main kingdom that Jared could build up an opposing army. It was probably on the borders of the Jardite kingdom proper. 9:3 The record is somewhat vague about the capitol at this point, whether is was in Moron or Heth. I am assuming that it was in Moron. Omer was warned in a dream that there was a plot against him so he escaped and traveled many days away from Moron. He passed by the hill known to the Nephites as Shim (see Mormon 1:3) which must have been a prominent landmark in both Jaredite and Nephite times. His group passes the place where the Nephites were destroyed (Cumorah or Ramah), and then goes eastward to the place called Ablom which was by the seashore. From Moron to Ramah was “many days” travel. It was not nearby. We are not given a location for the hill Shim, but it logically must have been in between Moron and Rama. I place it in central or northern Honduras. As pointed out earlier, I place Ramah at the Cerro San Gil, near Puerto Barrios, Guatemala. 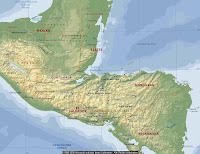 Ablom would have been on the Guatemalan shoreline of the Gulf of Honduras. This may have been the same location as the Waters of Ripliancum (Ether 15:8). 9:12 Thru civil war all the inhabitants of the Jaredite kingdom were destroyed except thirty people and those that left earlier with Omer. This would seem to infer a limited population in a localized area (i.e. not enough to fill the continent). It did not extend far enough afield to involve Omer who was on the opposite sea coast. It probably did not involve those groups who had earlier wandered off to colonized other areas. Civil wars, such as this, are normally an impetis for many refugees to flee the area of combat. 9:13 Omer traveled from Ablom and returned to the land of his inheritance (or Moron). To me this indicates that his kingdom, that is the Jaredite kingdom, was a localized one and did not cover a large geographical area. 9:19 There were Elephants, cureloms, cumons present. I agree with the interpretation by Mr. Rencure (www.cureloms.com), in his well researched paper on the subject, that cureloms and cumons were basically mastodons and the elephant like species Cuvieroniinae. If this be true, then we can infer that there should be abundant remains or fossils of these animals present in all the Jaredite lands. These animals facilitated heavy construction projects. Such animals were apparently not used by, or available to, the Nephites. 9:23 Coriantum built many mighty cities. There should be archaeological evidence of these cities. The Jaredites centered their cities on pyramids, and pyramid complexes, following the pattern established by Nimrod at the Tower of Babel. The Nephites did not follow this pattern. 9:24 Coriantum lived to be 142 years old. This would tend to illustrated the long life expectancy of the Jaredite patriarchs, although this longevity apparently diminished as time passed. 9:26 By the time of Heth the people had spread over all the face of the land. This would seem to indicate a limited land size as it had only been 4 generations since the population had almost been reduced to nothing in the time of King Omer. 9:31, 33. A plague of snakes drove all the animals southward toward the land known by the Nephites as Zarahemla. The snakes then blocked the the way so that no humans could safely pass. I interpret this as taking place at the narrow neck of land which I have identified as the Isthmus of Rivas in Nicaragua. There the snakes formed a venomous blockade preventing human passage for four generations until they are finally destroyed by King Lib, about 900 BC. 10:4 Shez builds up the “broken people” following the famine. The people spread forth and populate the land. Shez builds many cities. Here again the population is decimated by a natural disaster and has to be built up again, denoting a limited population. He builds many cities. There should be evidence of this. 10:5-6 Riplakish taxed and enslaved the people and built elaborate buildings and a beautiful throne using high taxes and slave labor. This is in sharp contrast to the reign of king Mosiah and is the manner in which huge projects and magnificent structures are built. They usually involve onerous taxation and slave labor. 10:7 Riplakish had access to raw gold and refined it in his prisons. This was probably near an area where raw gold could be produced or there wouldn't have been a need for him to refine it. 10:8 Riplakish's descendants were driven out of the land (i.e. out of the land of the kingdom). Here we have another example of a group leaving the main body. They probably went a long distance away and established their own colony, far from their enemies. 10:9 Morianton, a descendant of Riplakish, gathered a band of outcasts and returned and conquered the kingdom. This is an example of some coming back in from outside the influence of the kingdom. 10: 12 Morianton built up many cities. We should have evidence of these cities. 10:19 In the days of Lib the snake barrier was destroyed. They went into the land southward to hunt. The land southward was covered with beasts of the forest. This is speaking of the narrow neck of land, and southward into the greater land of Zarahemla. This would have been going south from the Isthmus of Rivas into northern Costa Rica. Alma 22:31 refers to this same land describing it in a similar way. This would probably have been near Managua, Nicaragua. There the two lakes divide western Nicaragua. 10:21 They preserved the land southward as a wilderness for hunting. The face of land northward was covered with inhabitants. This land southward was the Nephite land of Bountiful and Zarahemla. When the Mulekites arrived, somewhere around 200 BC it was still a wilderness. However the Jaredite land north of the narrow neck was heavily populated. 10:23 They were skilled in working all kinds of ore-gold, silver, iron, brass and all different types of metals. They dug these ores out of the ground and built up huge mounds of waste rock in the process. They lived in a geologically favorable environment for the mining of metals. We should be able to find evidence of this mining and processing. 10:30 The kingdom was taken from king Hearthrom, apparently by someone from outside the kingdom. Here again we can infer that there were outside groups and other settled colonies not of Jared's linage. 10:30-32 Hearthrom is overthown by an unnamed usurper. After four generations Hearthrom's decendant Com regains the kingdom in a war with the then king Amgid. Hearthrom was probably deposed by an outsider. If he had been a descendant of Jared his name would have been given. Here again we have a hint of outside groups. 12:30 We are told in an aside that Moriancumr moved mount Zerin by faith (and I assume, the power of the priesthood). We are given no more information on this miracle of miracles. There are no other references to this mountain so we really have no idea where it was located. The complete account should be contained in Ether's full record. If I were to guess, I would say it was somewhere in Asia, before they crossed the sea. 13:25 There began to be war in all the land, with many individual bands fighting for plunder and gain. Before the final wars, the country degenerated into anarchy, with strongmen forming their own armies and using force to achieve whatever they desired. This would have originally been limited to the kingdom of Jared, but may have gradually spread outward. 13:27 The armies of Coriantumer and Shared battle in the valley of Gilgal. This would have been a large open valley where two armies could have free movement. I place it somewhere in Hondruras in a major river valley, possibly in the valley near Choluteca, Honduras. 13:28 Coriantumer beat Shared and chased his army to the plains of Heshlon. Most of the areas in Honduras and the surrounding countries are quite mountainous and would not be considered plains. However, there is an area of level country in the northwest of Nicaragua, and also along the coastal areas, especially in northern Honduras. Guessing, I would place Heslon in the plains north of Leon, Nicaragua. 13:29 Coriantumer, and his army, are driven back to the valley of Gilgal. 14:3 Coriantumer pursued the brother of Shared to the wilderness of Akish. This would have been a mountainous area east of Moron, probably no more than a hundred miles away. 14:5 Coriantumer beseiged the brother of Shared's army in the wilderness of Akish. They came out of the wilderness at night and surprised and destroyed part of Coriantumer's army. This would have had to be an area favorable for a seige. It would not have been possible to effectively lay seige to a mountainous area open on all sides. It must have been an area with limited access which could be blocked. This would seem to be validated by the brother of Shared's escape thru the exact area where Coriantumer's army was standing guard. 14:6 The brother of Shared went from the wilderness of Akish to Moron and placed himself on the throne. 14:7 Coriantumer and his army lived in the wilderness (of Akish?) for two years. 14:11 Coriantumer went from the wilderness (of Akish?) up to Moron and attacted Lib, who is now the king. The use of “up” may or may not be significant. Often in the Book of Mormon this term refers to an actual change in elevation. 14:12 Lib was beaten and his army fled to the borders by the seashore. I believe this would have been along the shore of the Gulf of Fonseca. The term “borders” usually refers to near or close by. 14:13 The two armies battled again on the seashore. 14:14 Lib beat Coriantumer who fled with his army to the wilderness of Akish. 14:15 Lib pursued Coriantumer to the plains of Agosh. As he fled through the land he conscripted all the inhabitants into his army. There seems to be a break here. Did they go from Akish to Agosh, or directly from the seashore battleground to Agosh? I assume the former. This seems to be a longer journey and they finally end up on the eastern seashore. I place Agosh on the northern shore of Honduras where there are several level regions. The Valley of Gilgal, the Plains of Heslon, the Wilderness of Akish, and the seashore, all seem to be within the environs of Moron. But with Agosh we start going farther afield. 14:17 In his pursuit, Shiz passed through many cities. Here again this infers an extended and lengthy journey. 14:21-23 As a result of the lengthy war, the whole surface of the land was covered with the bodies of the slain. There were so many dead, and the people were so involve in the war, that they didn't bother to bury the bodies. The scent of rotting flesh became unbearable. This is a summary of the results of the war up to this point and would seem to infer a limited regional area. Note that they had not yet come near to Ramah and the final slaughter. This is describing the area around the capitol of Moron, as well as the route to Agosh. 14:26 Shiz pursued Coriantumer eastward from the plains of Agosh to the seashore. Coriantumer could run no farther so turned and fought with Shiz and beat him. I place this on the northern Caribbean coast of Honduras. 14:27 Shiz and his army fled before the army of Coriantumer to the land of Corihor. 14:28 Coriantumer encamped in the valley of Shurr. This was near the hill Comnor. This would have been a separate valley near the land of Corihor and near a prominent hill or mountain. This mountain would have been close enough to the land of Corihor that Shiz could have heard Coriantumer's trumpet call. 15:2 So far in the war two million men, plus their wives and children, had been killed. Assuming a family size of five, this would have been ten million people. This gives us some idea of the size of the land that we are considering. How much land surface can ten million bodies cover? I would guess a minimum number of at least 1-5 bodies per acre to produce the effects described in Ether 14:23, probably more. This would be an area of 3125 (minimum) to 15,625 (maximum) square miles, or a square tract of land 125 miles on a side. (The minimum area would be a square of 58 miles on a side.) For a comparison, the country of El Salvador has an area of 8123 square miles. We are definitely not talking about a continent sized kingdom for the Jaredites. 15:8 Shiz beat Coriantumer (at the land of Corihor?) and Coriantumer fled to the Waters of Ripliancum. This appears to refer to the open sea. I suggest that this is on the southwestern margin of the Bay of Honduras near the mouth of the Motagua River. 15:10 Coriantumer beat the army of Shiz which retreated southward from Ripliancum to Ogath to rebuild their forces. I would place Ogath near Los Amates on the Motagua River in Guatemala. This is also near the ruins of the Mayan site of Quirigua. 15:11 Coriantum moved from Ripliancum and camped by the Hill Ramah. Here he spent four years gathering forces for the upcoming battle with Shiz. The two armies were probably not too close, but possibly within a days journey of each other. I place the Hill Ramah, as indicated before, at the Cerro San Gil near Puerto Barrios, Guatemala. 15:14 The two armies rested for four years and conscripted all the surrounding peoples into their armies. Everyone from a wide regional area was forced to join one or the other army. 15:15-32 Both Jaredite armies are destroyed following days of continuous battle. Only Coriantumer (and Ether) survived. I would place these battles in the Motagua Valley, a large regional valley which is about 10 miles across in the region of the Cerro San Gil. I have identified this mountain as the Hill Ramah/Cumorah. I would note that this annihilation of the Jaredites did not necessarily involve any others who had earlier separated from the Jaredite kingdom and moved farther north.